These magical plants can be admired in our Rock Garden. Trilliums are a wonderful genus of plants that come from North America. They can be found growing on mass in woodland, taking advantage of the increased light levels before the tree canopy masks out all light to the forest floor. For this reason leaves and flowers are fleeting with only a short window for the plant to flower and produce seed, generally flowering end of April into May. 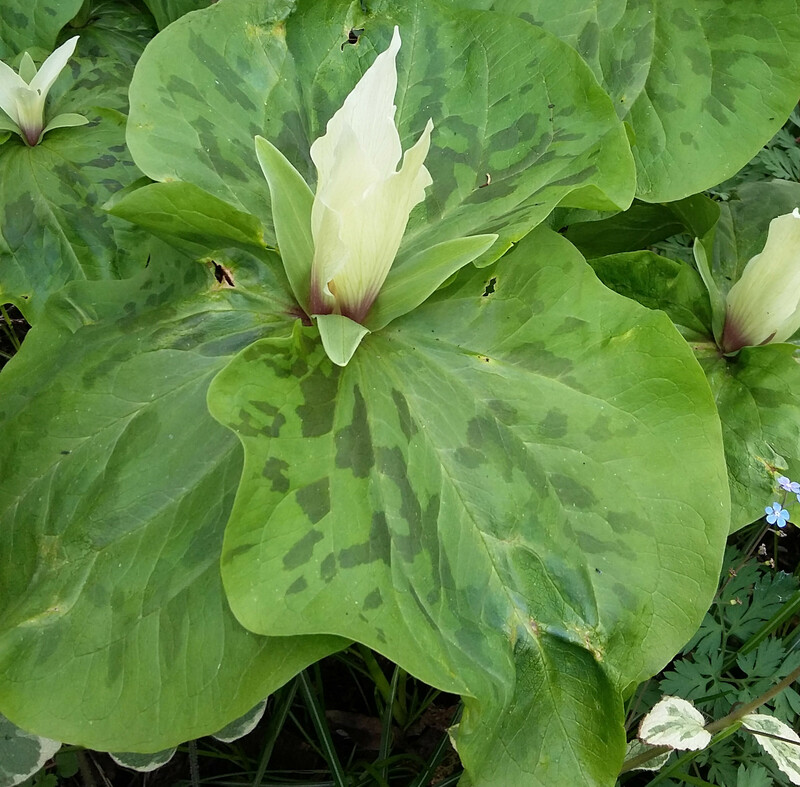 Trillium albidum is a wonderful example producing white flowers with a dark pink throat. Ideal planting partners would be Dicentra, Brunnera and Corydalis to name a few. Trilliums require a moisture retentive soil that is well drained, with plenty of leaf mould added.